It's no secret that we're big fans of singer-songwriter Tori Kelly. Our love for the gospel record she released last year in collaboration with gospel legend Kirk Franklin (who co-wrote and produced the album) is well documented, so we're super excited to see the second single, Never Alone, reach the number one spot on Billboard's gospel charts this month. Tori told Billboard, "I'm so humbled that people are loving and listening to this song. It's amazing to see a positive reaction to something that came straight from my heart. I'm forever grateful." Never Alone is a song about hope and assurance in a time when those things sometimes feel fleeting. That God's love is not deeper still." It's a song about looking outside of ourselves and our circumstances, finding our worth not in our own power or achievement but in Jesus and his love, and accessing a powerful new perspective on ourselves and our world. Never Alone is also nominated for a Grammy for best gospel performance (along with Hiding Place for best gospel album), so we'll be rooting for Tori when the Grammys air next month. 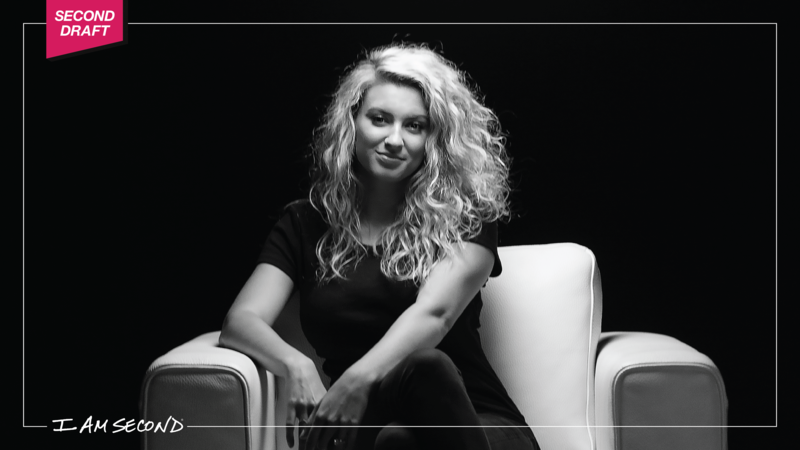 You can see Tori's full film with I Am Second here.